R M Drip & Sprinklers Systems Ltd. (here in after referred to as R M Drip) was founded by it's Promoter Director Vijay Kshirsagar. Organization initially worked as Component Manufacturer and Service Provider, to various micro irrigation companies. Later, however, it developed as a independent manufacturer of complete Micro Irrigation Systems. These activities started in small way in 1994, in the name of J. K. Industries and were continued by R M Drip, which was founded on 20th December 2004. 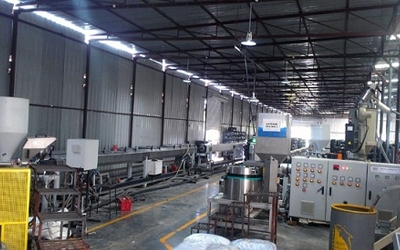 The company was initially engaged in the Job Work and later, evolved as OEM Supplier to Big Irrigation Companies. 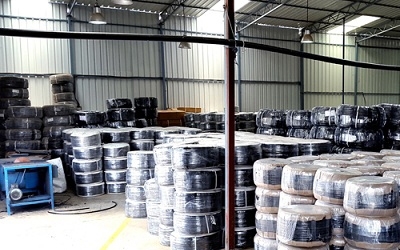 However, due to exceptional quality of its Products and tremendous opportunities in the Market, the company expanded its activities, and had to shift to new premises at Sinnar. To provide further support for the expansion of business, additional directors namely Mr. N. P. Kedar and Mr. A. R. Makani (Patel) were inducted on 25 September 2014. There after one more Director, Mr. Shyam Sundar Dash, on 22 June 2016 were also inducted on the Board. Mr. Dash has been appointed as Managing Director of the company. This enabled the company to transform itself into a full-fledged manufacturer of wide range of micro irrigation products. Mr. Nikhil Kulkarni is the vice president International Business who is based in US, is looking after company's global Business operations. R M Drip, designs and manufactures, world class micro irrigation equipment's, In-house within its factory premises, situated at Sinnar, near Nashik. The company also assists farmers in designing and installation of their Sprinkler and Drip Irrigations Systems, according to their specific needs. Company's Dealer Network extends in Maharashtra, Madhyapradesh, Karnatka and Gujarat where Company is presently registered for Government Subsidy. Company has achieved a Sales Turnover of Rs. 30 Cr. in the year 2016-17 & we are poised to grow to 60 Cr. in the next financial year. Company believes on the principle "Quality comes from within".Considering this as motive, employees of the company are trained and accustomed to work strategically to improve the quality and maintain the standards. Company's world-class testing laboratories help to improve quality by timely analysis and quick implementation of its results. 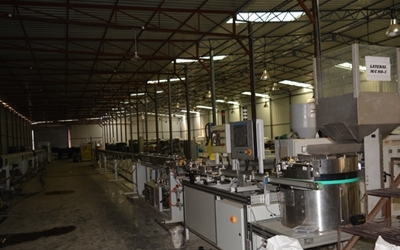 The laboratory is well equipped for analyzing the various critical parameters of the product. Company's Quality Assurance department works hand in hand with the manufacturing team to achieve zero defects in the goods dispatched from the factory. 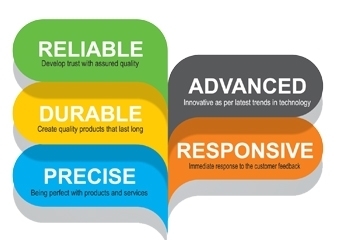 The company aims to achieve zero defects in every consignments it ships from its premises. Company's manufacturing and distribution system is established for better access to the dealers and farmers in the various parts of India and Abroad. Company has a strong distribution system which includes different stock points at various places across Maharashtra, Madhya Pradesh, Karnatka & Gujrat. These stock points enhance the reach & access of the products at the door step of the farmers. The company's operation team ensures that the orders are executed in minimum time to ensure timely delivery. The Company with its vision of Corporate Social Responsibility has joined hands with a Non-Profit Organization — "Gram Samriddhi Foundation" which assists the farmers in achieving the best practices and reduction of their production cost. The foundation is working closely with more than thousand farmers in and near Nashik. 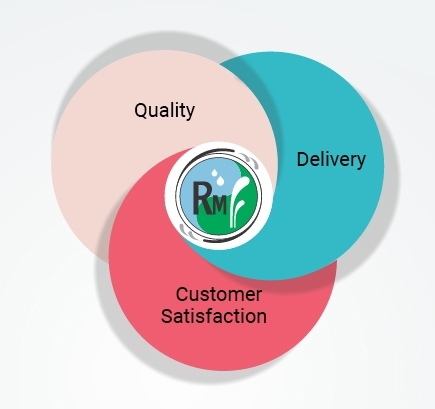 The company through the foundation helps farmers by providing its products at approximately substantially lesser than the prevailing rates of the reputed brands. The foundation leads the group of farmers and actively creates awareness for the betterment of irrigation facilities, especially in the area where flood-Irrigation is common. The farmers associated with this foundation visit the manufacturing facility, to facilitate the resolution of their queries about technological issues, product quality and increase their understanding pertaining to the modern and scientific methods of Micro Irrigation.